The BeoSound multiroom speaker system will play music from Apple, Google, Spotify, Deezer and your phone. The BeoSound 1 and 2 are certainly not pocket-sized and at €1295 (US$1495) and €1695 (US$1895) respectively they won't fit many pocketbooks either, but then that's never been the company's goal. The smaller of the two speakers, the BeoSound 1 is 327 millimeters high and weighs 3.5 kilograms. It's a sturdy truncated cone of smooth, polished aluminium, surmounted by a disk that appears to float above it. The internal battery will power it for four to 16 hours, depending on how loud you like to listen, and it can be plugged directly into an outlet to recharge: no wall wart or power brick is necessary. The BeoSound 2 has a fluted top, and is a little bigger at 431 mm high and 4.1 kg. It has no battery. Both speakers have Bluetooth, Wi-Fi and Ethernet connections, allowing them to play music from Spotify, Deezer, TuneIn and QQMusic, or to stream from AirPlay, Google Cast, DLNA and Bluetooth audio devices. In a curious throw-back, the BeoSound 2 also has an audio-in jack for directly connecting a CD player. The devices' controls are few and simple: Touch sensors housed in the floating disks can be spun around to vary the volume, and tapped or swiped to turn on, switch sources or change tracks. By default, the first tap turns the device on and selects the user's favorite Internet radio station, while a double tap changes the source to their favorite playlist. That can be changed through a web interface. The touch sensors detect from which side they are approached, so it's the user's frame of reference, not that of the device, that determines whether a swipe is to the left to skip a track, or to the right to go back one. 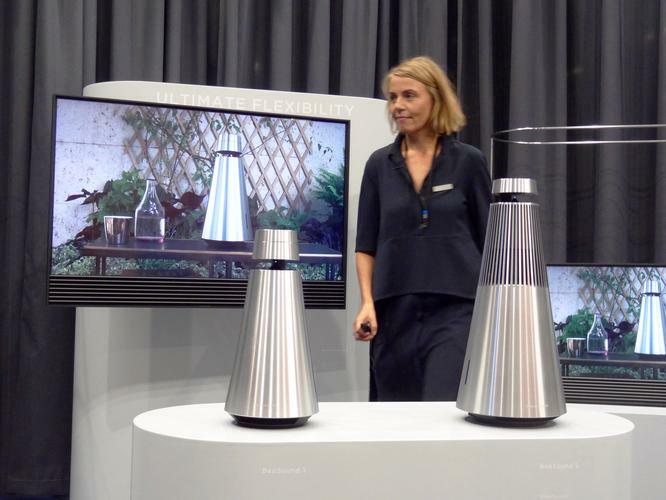 Bang & Olufsen unveiled the devices during the build-up phase of the IFA tradeshow, so they had to compete with occasional hammering and drilling from the half-finished neighboring stands, making it hard to give them a fair test. That said, they sounded pretty good. The BeoSound 1's floating disk conceals a downward-pointing 38 mm mid-range driver powered by a 40-watt amplifier. The 100 mm woofer in the base has its own 20-watt amplifier. The BeoSound 2 has four drivers: a downward-pointing 19 mm tweeter in the top disk, back-to-back 50 mm mid-range drivers behind the fluted grill, and a 133 mm woofer in the base. The amplifiers deliver 40W, 2 x 11W and 20W, respectively. They can be connected together to form a multiroom sound system using Band & Olufsen's BeoLink -- but they will also work with Google Cast. 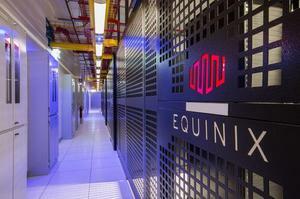 "We don't want to be proprietary," said the company's head of brand, design and marketing, Marie-Kristine Schmidt. Prospective buyers will have to wait until the end of October for the BeoSound 2, but the BeoSound 1 is already on sale. If the BeoSound speakers are (just barely) portable then so is Bang & Olufsen's other new product, the Android-based BeoVision Horizon TV. It's no tablet, as the smallest model has a 40-inch, 4K screen, but you can wheel it around if you choose the optional stand with castors. Those wheels give you TV "where you want it, when you want it," according to Schmidt. Other stands include a wall-mounted arm, a table-top easel and one with a ring-shaped foot that allows you to swivel the TV with a gentle touch. The Horizon is available now in 40-inch and 48-inch versions costing €2995 (US$3995) and €4395 (US$5495) respectively including the BeoRemote One Bluetooth controller. For that money you get a built-in 7.1 surround sound controller with connectors for up to eight powered speakers, four HDMI inputs, three USB ports and an ambient light sensor that adjusts the screen brightness to match. The company is also showing the BeoVision 14, a 4K TV in a square metal frame that it unveiled earlier this month. The 55-inch model, with oak speaker louvers hand-fitted by craftsmen in Denmark, costs €8980 (US$9999). A cheaper model with a cloth speaker cover is also available for around 10 percent less.